Have you ever gotten off the telephone after talking with a potential client about your photography certain that they won’t be hiring you for their portraits or wedding, but not sure why? It’s easy to blame it on things like “they don’t want to spend the money” or “they failed to see how great my work is and what I can do for them”. 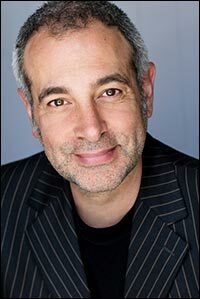 But, according to Steve Saporito, the real blame usually falls squarely on the photographer for not helping the client to understand their own value and not getting them excited about their own lives and family. Steve maintains that “clients are made, not found”, and he has many successful studios behind him to back this up. So, I was excited to sit down with Steve to find out more details about the fascinating philosophies behind what he calls the “excitement call” client booking model. With several decades of invaluable experience, Steve Saporito has become one of Australia’s most sought after portrait studio training consultants. Originally an accountant, Steve’s love of photography made him seize the opportunity to purchase a portrait studio and embark on a new career. One studio soon expanded into three, and Steve’s career shifted again to training studio owners and employees using his highly successful systems. For the past few years Steve has been busy creating successful portrait selling spaces across Australia and New Zealand, having opened and designed over thirty studios for his clients. His training is helping both home-based studio owners and large retail studio owners to deliver the highest standard of customer service possible. He has trained his clients to consistently achieve $3,000+ average sales, thus resulting in them earning million dollar a year turnovers from the comfort of their own homes. Steve’s biggest strength is in understanding people and what motivates them to desire and invest in photography. His method lies in creating studio systems that honour the client’s desire for beautiful and meaningful portraiture that they will cherish for a lifetime. His training empowers the confidence to learn how to engage, service and retain your clients with a strong client-focused attitude. Update: Check out our follow-up interview on the power of the design consultation. 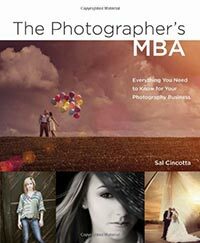 If you have finally taken the leap with your photography and gone into business, or if you’re considering it, “The Photographer’s MBA” will prove a helpful guide in navigating the often confusing and occasionally frustrating territories of business, marketing, pricing, and contracts.